Greetings from Mazunte, where the fall season has unfolded in beauty and Stillness. We are just about to begin the third 10-Day Hridaya Silent Meditation Retreat of the season, our stalwart class of Teacher Training Course students communing in silence with other aspirants from around the world. We are very excited to announce that starting March 11, 2014 we will be introducing the Hridaya Intensive Yoga Retreat Module One, a month-long program that will present the fundamentals of yogic philosophy and practice from a Hridaya Yoga perspective. This module will be followed by others, all aimed at helping students discover their Real Nature. Mark your calendars now and plan to join us for this unique experience! The introduction of this program means that the last course cycle of Agama Yoga levels at the Hridaya Yoga Center will be in February, 2014. We have been honored to share the wisdom of Swami Vivekananda Saraswati and the Agama teachings for five years now, with hundreds of students having been inspired by their depth and beauty. If you have been thinking of coming to Mazunte to participate in the Agama First Level Intensive Course, now is the time to do it! Our workshop series is in full swing, with Antoaneta’s Practical Tantra earning rave reviews. Next month, she will offer Tantric Rituals, exploring the power of the 10 Cosmic Wisdoms. We will end the year focusing on love and sacred intimacy via the Conscious Loving workshop, and January will feature a 3-Day Yoga and Meditation Intensive in Spanish. We now have two Dark Rooms available for guests who want to reveal their inner light by experiencing an individual retreat in total darkness. The center has been quite busy this fall, with activities ranging from bhajans to belly dancing, and these activities would not have been possible without the support of the participants in our Karma Yoga Program. These dedicated yogis have helped manage all aspects of the center, their example of cheerful, selfless service a welcome inspiration to others. This popular program is full until March, but if you would like more information, please visit our website. If you have not had the pleasure of meditating with Sahajananda in person lately, we recommend that you join him by listening to the audio recordings on our website. 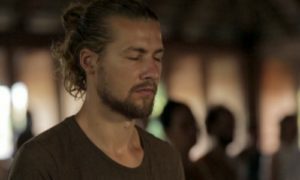 We have also uploaded a few new videos to our YouTube channel, including Sahaja’s advice for transcending false perceptions about spiritual practice. Check them out! The holiday season is fast upon us and there is no better time to remember those less fortunate. Our Scholarship Program is off to a great start, but already we have many more applicants than we can support. If you have been moved by the Hridaya teachings and would like to ensure that others can experience them, please consider gifting a retreat or yoga course to someone you know, or to someone who has asked us for assistance. Please email us at info@hridaya-yoga.com for more information. In addition to Sahaja’s New Year’s Retreat in Romania (http://www.kamala.ro, email:contact@kamala.ro), Hridaya events continue to be offered in many places around the world. Juliane and Giulio are offering twice-weekly yoga classes and weekend retreats in beautiful Florence, Italy (email: lovejuliane@gmail.com). Raluca leads weekly Hridaya Hatha Yoga and Meditation classes in Brasov, Romania (santosha.ro, email: contact@santosha.ro). Ilaria is teaching Hridaya three times a week in Ticino, Switzerland (email: zaga_8@hotmail.com) and Jana is available for teachings in Hamburg, Germany (email: mahajanayoga@gmail.com). Radasi will incorporate Hridaya Yoga and Meditation into her December workshops and January Teacher Training Course in Goa, India (http://www.yoginidevi.com , email: divineinfo@yoginidevi.com). Hridaya Guatemala offers monthly 4-day residential retreats as well as ongoing month-long Hridaya Yoga Intensives on the magnificent shores of Lake Atitlán (www.YogaRetreatGuatemala.com/events.html) and Nick will host a Hridaya Silent Meditation Retreat from 19-23 December on a mystical island in the middle of Lake Titicaca, Peru (http://www.meditationretreatperu.com). Maribel is hosting monthly meditation workshops in Madrid; the next one will be on 14 December (www.facebook.com/meditaspain, email: meditaspain@gmail.com). We wish you a blessed holiday season and hope to see you soon in Mazunte or at one of our international events.